The administrative capital of Isaan and a modern Thai city, Khon Kaen is the gateway to many other noreth-eastern locations. Cheap Car Hire from Khon Kaen Airport is a click away! Khon Kaen Airport (KKC) is a newly upgraded airport serving the central and eastern regions of Thailand. Flights originate and depart daily to Bangkok via Thai Airlines and if travelling to and from Chiang Mai, Nok Air offers turbo-prop service. Khon Kaen is by far the most convenient place to hire a car when visiting the area, and our counter is located just outside the departure area and then down to the ground floor of the airport. Renting a car at Khon Kaen Airport provides travellers to this eastern region with the best selection of models to choose from, and we compare 5 top Thai rental providers to offer you the best deals in Khon Kaen. Go ahead — search now to find the lowest rates at Khon Kaen Airport! Khon Kaen Airport (KKC) is the gateway to Isaan and the province and district of Khon Kaen. This area is important to the nation in terms of industry, education, and agriculture and is home to the largest regional universities: Rajamangala University and Khon Kaen University boast a total student population of over 20,000. The city of Khon Kaen (pop. 140,000) is primarily a hub for rural industry and agriculture, but is also known for peaceful surrounds and pleasant parks. For example, the lake across from the Friendship Highway (Bueng Kaen Nakhon) – just a short drive east from the city, is a common place to find families in paddleboats having an early evening picnic. 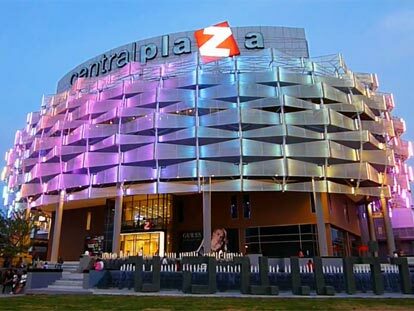 Shop the brand new Central Plaza Complex that opened in 2010, and where you can easily find both local and international brands. If you have had your fill of shopping, then try a stroll around any of the areas numerous Buddhist temples. And after your done strolling, try the Khon Kaen National Museum, which exhibits an expansive collection of precious art, antiquities, and archeological artifacts from the region, including a skeleton of a New Stone Age man with his tools. 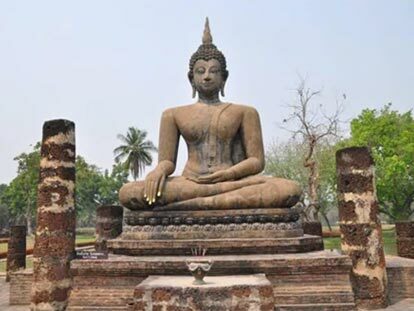 And to dig further into the local archeological scene, try a visit to the nearby Ban Chiang Archaeological Site. This site was designated a UNESCO World Heritage Site in 1992, and is known for pottery finds that date back to 4420 BCE and during the Bronze Age.